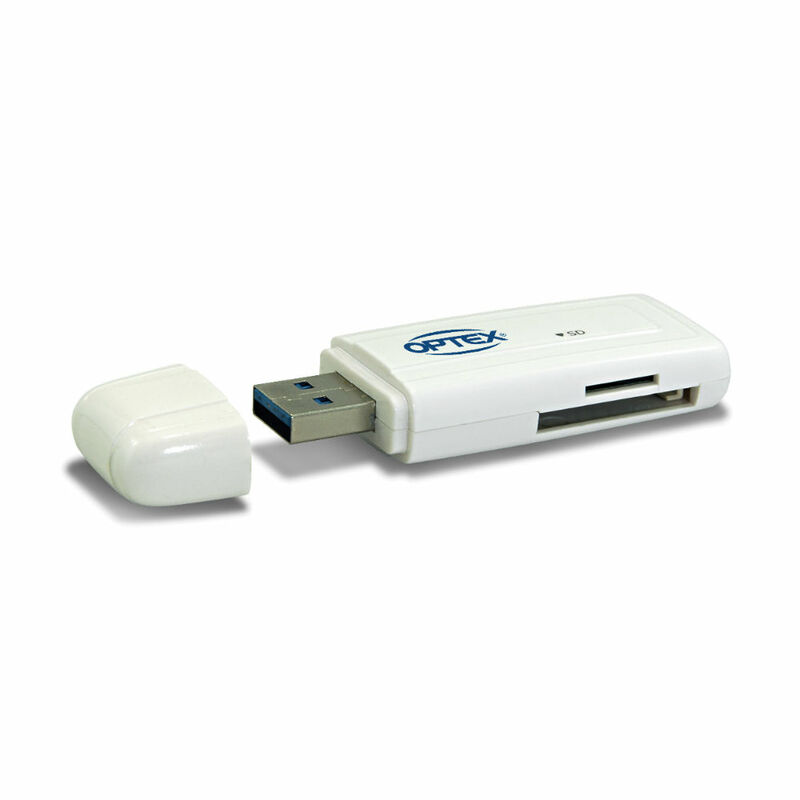 The Optex Super Speed USB 3.0 SD and microSD card reader lets you transfer files, photos and videos between a computer and digital cameras, MP3 Players, action cameras, mobile phones, tablets and other devices that use SD or microSD memory cards. Super speed USB 3.0 interface offers extensive bandwidth for increased transfer performance. Fully backwards compatible with USB 2.0 devices.